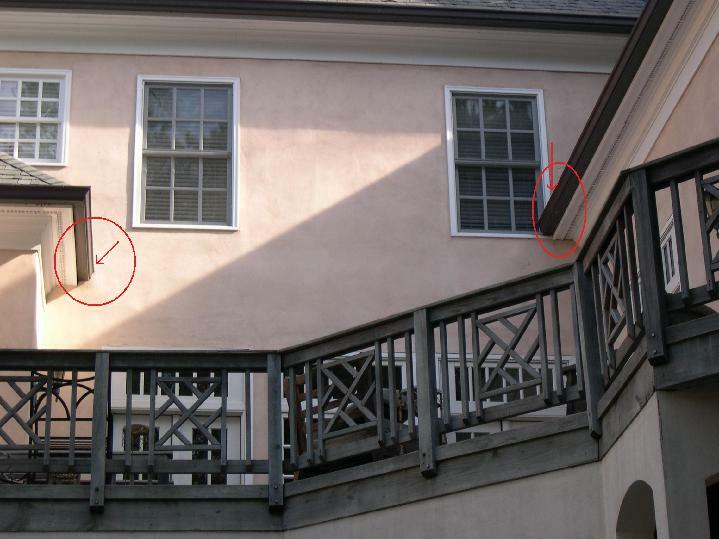 During construction of a hardcoat stucco or EIFS home diverter flashings (also known as kickout flashings) should be installed where the roof meets a vertical wall. 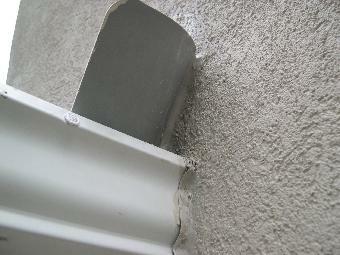 Unfortunately we see many homes that either do not have these flashings installed, or were installed incorrectly. 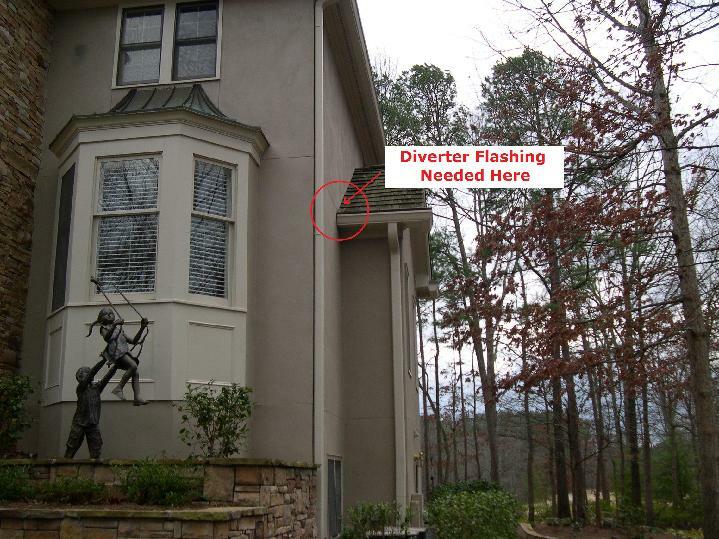 Without diverter flashings you may experience water damage. Water will invade the walls and cause unseen framing damage. The pictures below highlight the areas where Diverter Flashings are needed. 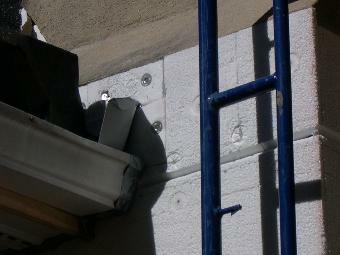 Here are close up pictures diverter flashings properly installed.